Oakhostel Cabin i Tokyo, Japan : Boka nu! Jag har sagt det tidigare om andra hostel men detta var verkligen mitt favoritställe hittills. The location might be a little of but the atmosphere makes up for it! Its right next to a super cozy canal and you can walk along it at night for a great experience! The staff are all super firendly and helpful but might get a little confused sometimes! I had a super great stay here! The only thing is that the beds might be a litle small ( im 180cm) but its not to bad. 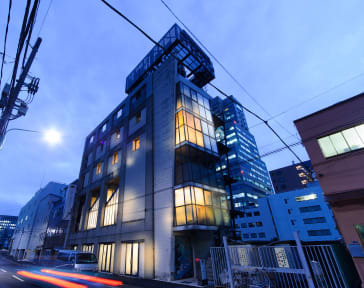 Great place to stay at and close to both Tokyo station and Airport limousine buses from/to Narita airport. Only stayed one night, but i felt like a nice place. Close to the train station with subway and close to subway station, but i think its far from the action in Tokyo. We stayed here because we had a night over before a longer stay, if i go to tokyo again i would like to live in the shinkoku area, since i liked going out there, but this was cheaper and worth the money. 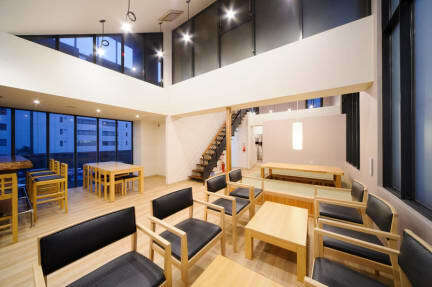 A very nice capsule hostel. However it's a bit off if you want to visit the Shibuya/Shinjuku-area after the metro stops going. I'm 188cm and I was just to tall for the capsules.. A little bit annoying that there only was one elevator and no stairs to move between floors, witch meant that you often had to wait some time for it. The common area was okay but had a bit of a waiting room feeling over it. Nice kitchen with good equipment in it. Good location for exploring Ginza and other parts of centre Tokyo!